The right image, that is. 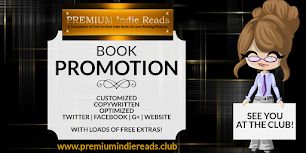 Your banner is a would-be reader's first encounter with you and your book. It should show your idea of quality. Giving them a peek of what they can expect from your work. It communicates taste, standards, and sets expectations. 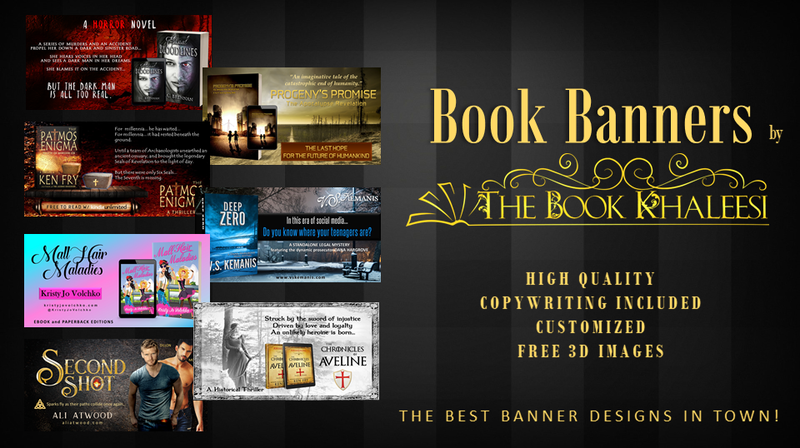 A beautifully designed banner will do wonders for your marketing campaign. Without a doubt, a social media or blog post with an IMAGE works 10x better than one without. That is the purpose of your banner. We design banners for book launches, promos, cover reveals, social media covers, etc. Choose from the different types of advertising materials below. For longer scripts, or if you want background music, please order a mini or full book trailer. Includes Stock Photos and/or Stock Video Footage. Free 3D images of your book cover. Script included. Based on your synopsis and reviews. Choose the type of banner you need then Add it to your Cart. When you're done, checkout and it will take you to Paypal for secure payments. Give us an idea of what your campaign is about. What is the purpose of the banner? When we receive payment confirmation, we will email you within 24 hours to confirm. I bought a few book banners from The Book Khaleesi. I was very pleased with the results. They were eye catching and looked professionally made. I certainly will put them to good use. Glad you were pleased, Richard. I enjoy designing paranormal fantasy banners, and Shadow Angels and Rise of the Queens are now on my TBR list. Happy marketing! I love The Book Khaleesi! The banners she made for me are awesome and inspired! Highly recommended! The Book Khaleesi has made 2 banners for my contemporary romance, and I am absolutely thrilled! She picked up some backgrounds with stunning colors that complemented the cover, and just overall look so visually appealing and professional!